One of our readers, Rachel, left a comment on the Nail your Autofocus tutorial from a few weeks back. She wanted advice on photographing busy kids and particularly mentioned Nikon’s 3D tracking and continuous servo. 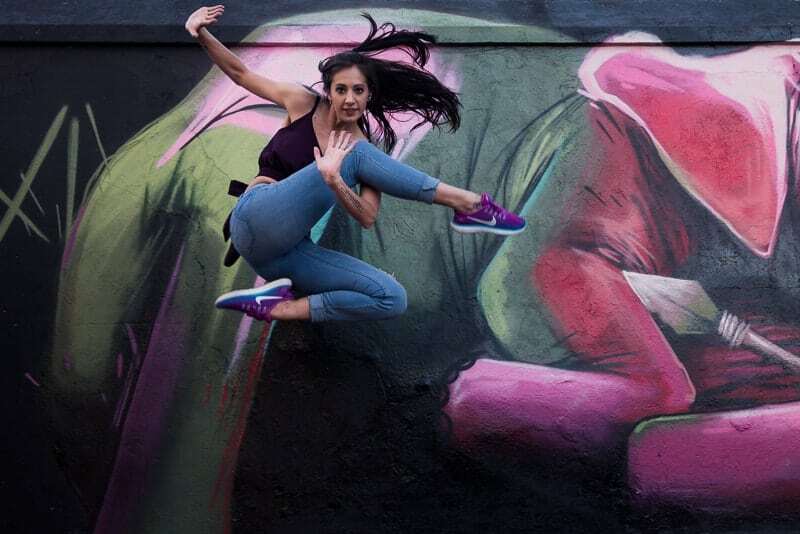 But there’s more to photographing moving subjects than that. So let’s look at achieving focus in fast moving situations. If you want to photograph sports that involve fast movement, including your kids’ sports, or your young children playing, this tutorial on how to focus on fast moving subjects is absolutely for you. 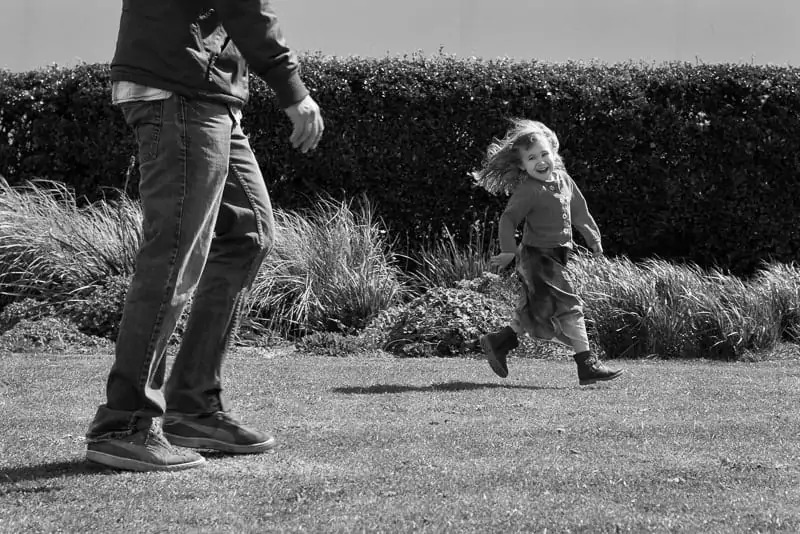 But first, here’s Rachel’s questions on how to focus on fast moving subjects…. moving in an expected line (runners on a track, ski jumpers, divers). This will form the basis of many of your focusing choices. 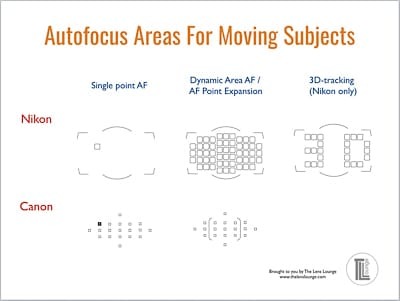 As we’re photographing moving subjects, the focus mode needs to be set to continuous-servo AF (AF-C) if using Nikon and AI Servo AF if using Canon. Use single-servo AF (AF-S) if using Nikon and One Shot if using Canon for still subjects only. You will need to change your AF-C priority selection depending on what you’re shooting and how fast the movement is. This will vary between RELEASE or FOCUS + RELEASE for Nikon, and for Canon Focus Priority and Release Priority. Where precise timing is not essential, use FOCUS + RELEASE (Nikon) or Focus Priority (Canon). Examples are skating, surfing, cycling. Use RELEASE (Nikon) or Release Priority (Canon) when the subjects are moving and changing rapidly. Also for when they suddenly appear in the frame. Examples are football, hockey, volleyball, diving or ski jumping. If there are fixed obstacles between you and your subject, switch to single point autofocus. This will prevent the camera accidentally focusing on something other than your subject. A sports example would be volleyball – you don’t want to accidentally focus on the net or the ball. Likewise, it would be a good choice when photographing children running around the park in between the slide and the swings etc. A dynamic area of 9 points is good for most situations as it allows for some subject movement for the camera to track, but doesn’t cover too great an area that might confuse the focusing. If your subject is likely to move towards the edge of your focus area, it is better to use the 21 points dynamic area so that you have most of the area covered. This way if your subject momentarily moves away from your selected focus point, the camera will maintain focus, based on the information from the surrounding focus points. In addition, if the background is plain, such as the sky behind a ski jumper, a 21 point dynamic area is useful and effective. This is a Nikon only feature. It is prone to getting confused by the background, especially green backgrounds such as grass. It also can be confused when there isn’t enough contrast between the subject and the background, or if the subject is too close to the background. For these reasons I would not use it and would favour the other focusing options I’ve covered. a) How quickly do I need to focus on different subject? b) Will my subject be moving in an expected trajectory without interruption? c) Do I need to track my subject past obstacles? a) How quickly do I need to focus on a different subject? In a fast changing situation, such as hockey, set focus tracking with lock-on to 1 or switch it off. This reduces the amount of time the camera is locked on, so the response time to focus on a new subject is faster. The most commonly used setting for focus tracking lock-on is 3. This is the normal setting and is ideal for speed skating, diving, ski jumping, surfing and figure skating. 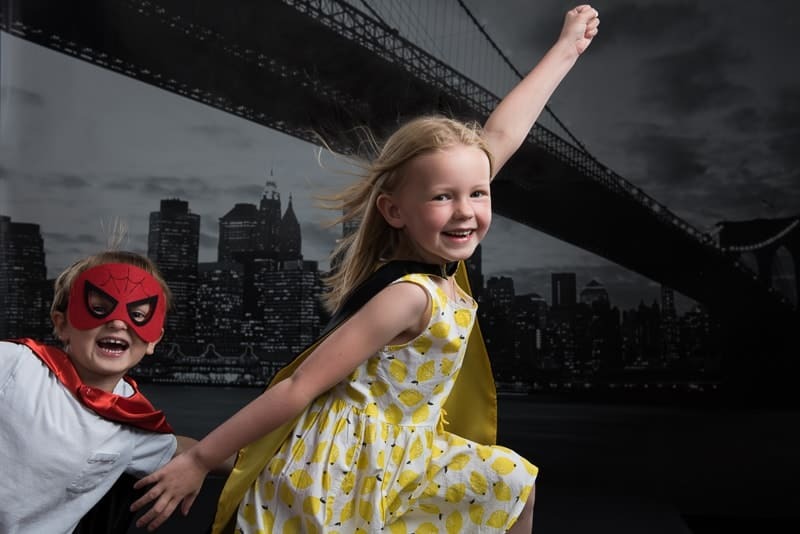 If you’re photographing one child playing, a focus tracking lock-on of 3 would be ideal. When your subject is occasionally being obscured, such as runners at a track event, it helps to set your focus tracking lock on to a long lock-on so that you can continue focusing on your subject. For example, if you’re focusing on a runner overtaking another runner that is between you and your subject, your view of the subject will be temporarily blocked. If your focus tracking lock-on is set to 3 or 5, the camera will maintain focus on your subject and not the runner being overtaken. 5 is considered a long setting and is ideal when photographing pairs of figure skaters. With a bunch of busy kids running around and playing together, a long lock-on of 5 would be ideal if you’re trying to photograph your child in the middle of the busy crowd. The button to use is the AF-ON button. It is on the back of your camera – hence the name, back button focus. If you don’t have an AF-ON button, you can use your menu to set the AE-L/AF-L button to function as your back button focus button. I’ve written a separate article about back button focus, so won’t go into too much detail here. What I will say is that back button focusing is essential when photographing any moving subject. The only time you could capture a moving subject in sharp focus without using back button focus is if you have pre-focused on an area where you expect your subject to be. Examples are a horse jumping over a fence or someone running across a finish line. In this instance you’d have to use manual focus, or use autofocus to focus on a point and then switch to manual focus, or separate the focus function from the shutter release button to ensure that when you depress the shutter release button your camera doesn’t try to refocus. In other words, disable it’s autofocusing ability. To do this on a Nikon, select your AF activation as AF-ON, rather than Shutter/AF-ON. For Canon go to custom controls and then shutter button and then select metering start. The last point to consider when photographing fast moving subjects is vibration reduction (Nikon) or image stabilisation (Canon). Selecting the correct setting will also help to reduce blur. However, if you’re shooting with a shutter speed faster than 1/500 turn off your VR. You won’t need it. When you’re panning with moving subjects, or are photographing stationary subjects, set your vibration reduction to ON/NORMAL. When you are moving and photographing, such as from a moving car, set it to ACTIVE. If you have any questions about how to focus on moving subjects, let us know in the comments. 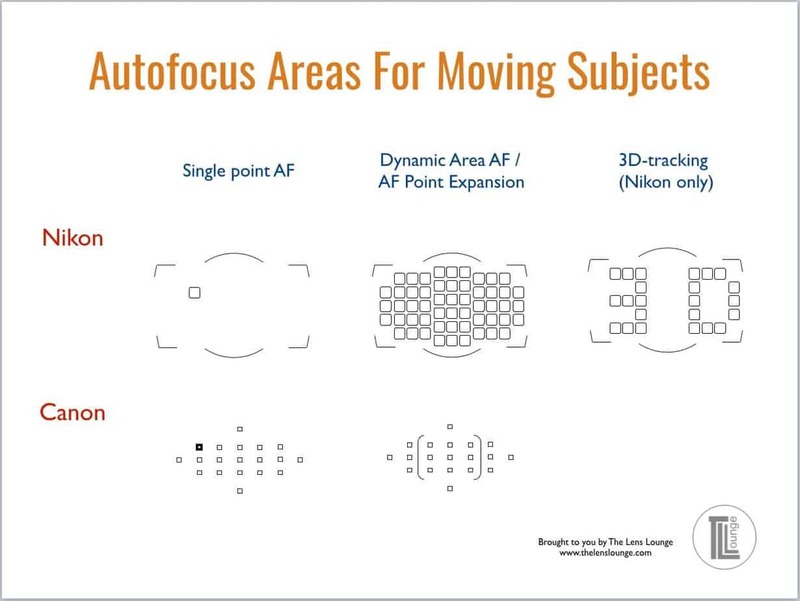 Also, we love good news, so if our focusing tips have helped you to understand how to focus on moving subjects, share that too. Will this photography tutorial help you to focus on moving subjects?